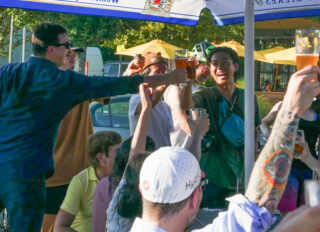 Supporters toast Kim Minhyeong (smiling in center) at Apex on Thursday. What Portland bike thieves took away, our community is giving back. As we shared last week, South Korean bike tourer Kim Minhyeong was pedaling through Portland on his dream trip when his bike was stolen from outside the Southeast Hawthorne Fred Meyer. It was fully loaded with all his gear, including his laptop, camera, and more. As word spread, Bryan Hance from Bike Index decided to help. Hance swung into action and held a fundraiser for Kim last Thursday. According to Hance, about 40 people showed up to Apex Bar — many of them with gear and donations in-hand. 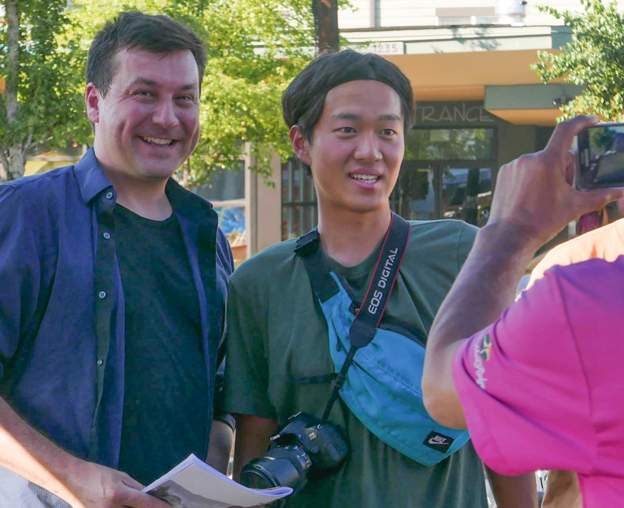 They showed Minhyeong what Portland is really all about as they shared free food donated to the event by Grind Musubi. “Definitely made me proud to be a Portlander! It was overwhelming, I won’t lie.” Hance wrote on in an email to supporters. Bryan Hance (left) and Kim Minhyeong. Portland-based apparel company Showers Pass donated store credit that Minhyeong has used to get a new jacket (the cool Atlas model no less). Right now Hance is helping Minhyeong organize a list of gear he still needs to replace with hopes of getting back on the road in 2-3 weeks. He also said friends of Minhyeong’s took him shopping for a new bike today. The outpouring of support has certainly made an impression. A GoFundMe campaign site has also been set up in case you would like to support this cause and help Minhyeong turn his bad experience into a good memory. 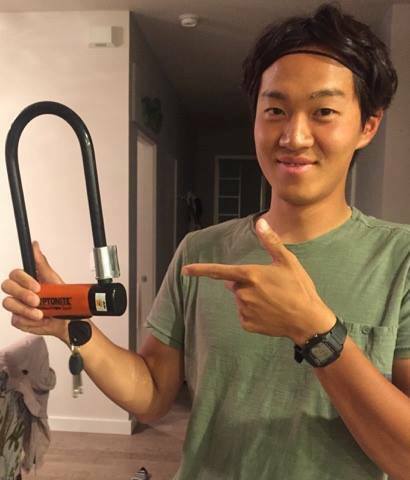 And in case you’re wondering, Minhyeong finally got a u-lock. Kim Minhyeong’s new bike security accessory. Hurray for band aid fixes! Still doesn’t fix the theft issues we have in Portland! Nothing will change as long as we tolerate bike chop shops and vagrancy. That is not quite true. If you read between the lines, a U-lock is in fact still pretty good protection. The fact that he didn’t use a U-lock speaks volumes. I’ve tried to understand the statistics of bike theft and the type of lock or presence/absence of a lock, and it does seem like the overwhelming majority of stolen bikes were not locked or not locked properly with a U-lock. Would we still have a theft problem if *everyone* used a U-lock? Probably, but I am willing to bet real money that the size of the problem would shrink dramatically. If the equipment is decent, locks provide limited protection. At best, you can lock a wheel and frame to the rack. With a fully loaded touring rig, you’re wheel is just locked to your frame and you’re cabled to a rack or post. You can’t ride off on a U-locked bike, but you can toss one in a vehicle and cut the lock later. I have cut U-locks myself. It’s a pain but not really that hard, though I doubt anyone would bother unless the bike is decent. The main protection they provide is that it makes bikes that don’t have them look more attractive as targets. Well it is pretty clear that we have (at least) two schools of thought on this subject. I can tell you’re in the Glass Half Empty camp. I vote for TWO u-locks. When it comes to bike security, yes. In my view, the only safe places for a bike in Portland are under the rider or inside. When I expect to need to leave a bike outside — even for a short amount of time, I ride a different bike (i.e. 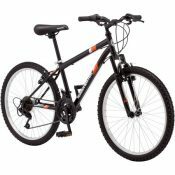 older and heavier bike that has parts that have practically no value). If you can’t ride a bike you like because it won’t be safe when you stop, it’s harder to get motivated to ride. I think what you are saying is ‘if the equipment is *expensive*’ but given your vast bicycling experience I would think you could distinguish between decent and expensive. I’ve ridden excellent, serviceable, sturdy, reliable bikes all my life (= decent), but only the one I bought when I was 17 was new/expensive (and I still have it 30 years later). I really think we do ourselves a disservice when we glibly equate expensive with decent. Sure, but stuff doesn’t have to be that expensive before it becomes a target. For example, 105 level components are considered entry level, but they’re actually quite good and certainly have enough resale value to be interesting. And you can steal the bars, stem, fork, and shifters in seconds in less than a minute with some hex wrenches and cable cutters. Likewise, the RD comes off in a few more seconds with the same tools. Seats, seat posts, and pedals come off in seconds, and $100 each for the seat and pedals plus $50 for the post isn’t particularly extravagant. Stripping all the things above from a bike takes less than 2 minutes with tools that fit in your pocket leaving you only with the frame, wheels, and crank. The crank can also be taken in less than a minute, though it requires a special tool — still a worthwhile grab. Bottom line is if you have something that can be sold, it’s not safe. Did he get a laptop yet? I think Freegeek has one with a Korean keyboard. With Linux Mint. I lived and biked in Portland from 1997-2015, always locking my bike with a NY lock citywide, plus a 7′ cable when downtown, and never lost a bike, but did have accessories go missing. I’m visiting Portland in August for a few days, from a community that has almost zero bike theft. How much worse has bike theft and theft from bikes gotten in the last 18 months in Portland? 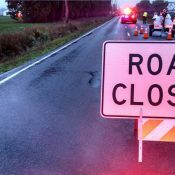 Are there any areas best avoided? Any advice you or others might have would be most appreciated. Thanks! 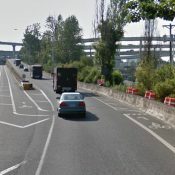 David avoid inner SE from 205 between Burnside to Mlwaukie and NE from Parkrose to Williams and all of NW if you do not have at least one “U” lock. just don’t park it anywhere else either unless you have it indoors or in sight 100% of the time. Tom, Kyle, & 9watts, thank you for your advice. That Oregonian map is super helpful. Yeah, I’ve always used a U-lock, and I run a cable through my bags as well when I’m feeling vulnerable. Basically, the thefts are where the bikes are and you’ll notice the hottest spots are where you find a lot of bikes and crappy locks. I think your bike is safe enough when you’re in busy enough areas during the day. I would not leave it out at night anywhere. Statistics can be misleading. What is true is that cables can be cut very quickly with cheap cutters and that cutting a U-lock takes several minutes and a power tool equipped with a diamond blade that sends a shower of sparks. But that doesn’t make U-locking a bike safe unless your components are cheap. Every piece of a bike is worth money, so even if you U-lock your wheels and frame, the rest of it will be stripped. There is absolutely no way I would leave any of my bikes out anywhere in Portland. Aggregate statistics are not nearly as reliable a predictor of outcomes than individual circumstances. Are you seriously trying to suggest a $5K bike is safe if left outside so long as it is locked with a U-bolt? Higher end components cost a fortune — we’re talking thousands. They can be removed very quickly with simple tools. Things like pedals, bars, stems, seats, forks, etc. cost can cost hundreds each and can be removed in seconds. A U-lock provides zero protection for any of them. Going out on a limb here, but maybe that’s why you don’t see people leaving high end bikes on racks very often. What a U-lock does for you depends on what you ride and where you park, not on aggregate statistics. In the case of an expensive and well equipped touring bike, a U-lock will prevent someone from riding it away. But it provides very little beyond that. But if you have a cheap bike where the used parts aren’t worth anything fenced, it will provide reasonable security. I have no experience with or interest in $5000 bikes. Although I am well aware that others see this differently to me a bike is a utilitarian object, and as much as I may like a beautiful paint job or snazzy components I have come to terms with the fact that a utilitarian bike that doesn’t look like much is a perfect companion, gets me where I need to go and is still there when I return. Looks notwithstanding it may be well tuned and have top-of-the-line components from thirty years ago, but no one seems that interested in messing with it when it is locked (front wheel and downtube) with a reputable U-lock to an immobile object. If I had a $5000 bike then I’d probably throw three U-locks on it, but fortunately I don’t have to worry about such things. Whatever. I’m the wrong person to be having an argument about ultra expensive bikes with. I also don’t wear a Rolex on my arm in sketchy neighborhoods, or drive around in a red Italian sports car into the slums. There is a class of ostentatious behavior that is risky under certain circumstances, but I didn’t think we were talking about that sort of thing. Funny I have toured on well equipped non-expensive bikes just fine, and fortunately there were two of us so one could stay with the bikes when we stopped at grocery stores. If you don’t care about that kind of equipment, that’s fine. But some people do, and it’s not just because they’re trying to be ostentatious. For some, it has to do with being the fastest they can be because they race — that being the whole point of racing. Everyone knows that the engine is by far the most important part, but all that small stuff does add up, and things like power meters are useful training tools. Even for people who care nothing about speed, it has nothing to do with showing off. Some people just like nice gear. You don’t need a fancy bike, but you also don’t need nice food, clothes, or anything else when you get right down to it. BTW, your described manner of touring totally makes sense to me. Strangely, it does not seem to reinforce the notion that your bike would be totally safe if you went in the store for a bit if you secured it with a U-lock. If I had been traveling along I’d have used a U-lock. I’ve never approached this with an absolute mindset. This is an actuarial problem, and there are many things we can do to increase the odds. And I have no problem with their choice. What I was saying is that those who do should not lose sight of the fact that in a profoundly unequal society with plenty of desperation and mischief to go around, displaying high end [anything] represents a certain kind of risk that is both well understood and a different kind of problem than I thought we were discussing. The absolute price is not the obvious basis for comparing the two. Do you think thieves only steal cars? No, the point is that a super duper, high end bike is, semiotically, much more like a super duper, high end auto or pair of insanely expensive shoes or handbag, than it is like a run of the mill bike. 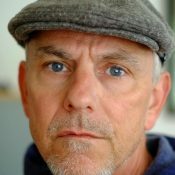 You are right about cable locks – when I lived in Portland, I would occasionally see people walking around with 3-foot cutters on their backs, obviously looking for bikes to steal. Basic inexpensive U-locks can be cut once, then twisted off the bike or pole it’s locked to, usually using a rod for leverage, and yes, I had sometimes seen people with angle saws and lever bars. The more expensive U-locks take a better cutting blade and two cuts to get off. If the space is tight, it can be frustrating enough for the thief to move on and try easier pickings, or else try to cut the bike rack itself and work on the lock later. I’ve also seen YouTube videos demonstrating all these methods. When in Portland, I’ll be using a NY Forgetaboutit smaller U-lock and a 7-foot cable, and park near lots of other bikes that are easier to steal during the daytime, when that’s an option, especially at Powells and other places downtown. My bike is a $1,000 Chinese touring Surly-knockoff made by Odyssey, packed with Origin8 parts and other J&B specials that chop-shop thieves will be all too familiar with. If you use the same tactics you employed in NYC, you’ll be just fine here. I’ve said it before and I’ll say it again…. when will a company step up and make lockable panniers? The owner of a convertible explained that he stopped locking his car after the top was sliced for the second time. I’ve never seen panniers that would stand up to a sharp knife. If they can make lockable panniers for motorcycles, they can make them for bicycles too. How much do motorcycle panniers weigh? There’s a guy here who commutes by rail to Durham with a bike with rigid wooden panniers, like artist boxes. I can’t tell if they are manufactured or custom made. There’s no point to lockable panniers. First off, they would be way too heavy, big, and the aero profile would be miserable if they had any capacity. Secondly, you’d be able to pry them open very easily. Lockable panniers are like cable locks — helps keep honest people stay that way, but no deterrent at all if you actually want in. This is so great. Thank you, Bryan, for taking the initiative to organize this! Agreed, thanks for taking your own time to organize this. Very cool of you, Bryan. place in Wilsonville off boonesferry rd that sells ammo cans for 12 dollars each..
Ammo cans have waterproof seals but they don’t normally have locking mechanisms.